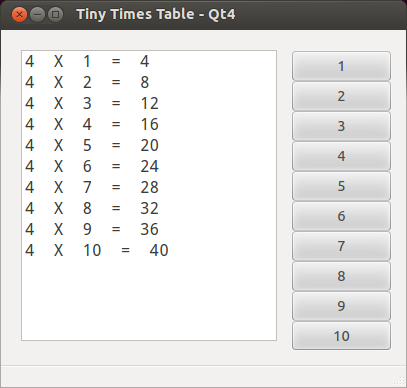 AIR has created a couple examples of using JADE with Qt and FLTK GUI tool kits. AIR is a steam powered programming locomotive, wow! Can't keep up with how he is flying along. I tell you this project is going places with his tremendous energy and clear coding! Thanks for the screenshots John and updates. I'm going to do one more, using wxWidgets. 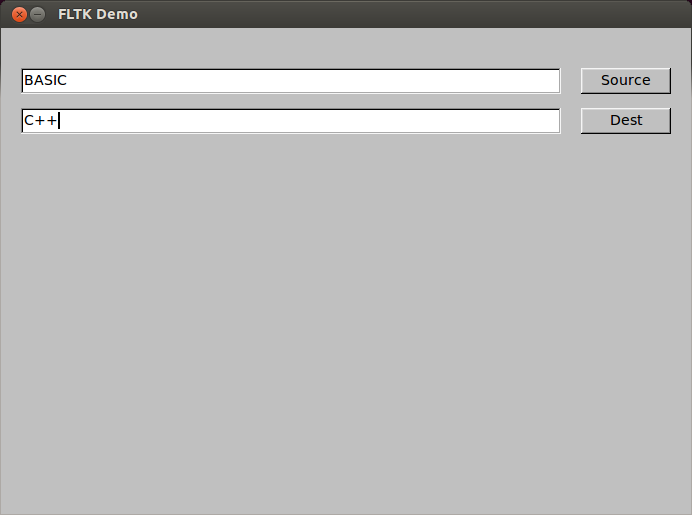 The recurring theme, as far as GUI Toolkits I'm testing go, is that they're cross-platform. @John: Try your hand at an IUP demo when you get a chance. Since IUP on Mac requires X11, I won't be doing one. Still, I think it would be useful to see that. IUP is a multi-platform toolkit for building graphical user interfaces. It offers APIs in three basic languages: C, Lua and LED. I was planning to convert some of the IUP example with C BASIC but that seems on hold at the moment until Charles has time to move that project forward. I'm working on a ScriptBasic extension module interface to the CERN CINT API. (all platforms) This will expand SB's abilities to dynamic JIT compiling of C source among other features the CINT interface offers. $onexit "rm -rf $FILE$.app && mkdir -p $FILE$.app/Contents/MacOS && cp $FILE$ $FILE$.app/Contents/MacOS && open $FILE$.app"
I can appreciate the irony of this example. I seemed to be the only one posting screen shots for JADE GUI. I've only seen a Pong from AIR and Kent and that was only by request. I know this thread is pretty old but I would like to see a JADE and IUP connection. I'm thinking that breaking up the JADE.inc into core and extension modules may be a better way to go. Can you do a SB LIKE / JOKER function(s) in JADE? If you look at match.c in the SB source, you'll see that this is not a trivial thing to implement from scratch. There's a lot of parsing going on in that module.